Exquisite Damask Rose and Neroli derived from Orange Blossom flowers is blended with Argan Oil to create Brave Botanicals Nourish & Repair Conditioner, and will leave hair feeling silky soft and conditioned. Perfect for fragile and damaged hair. Created from 99% naturally derived ingredients, it is eco-friendly, paraben and SLS free, and made without any artificial fragrances or colours. 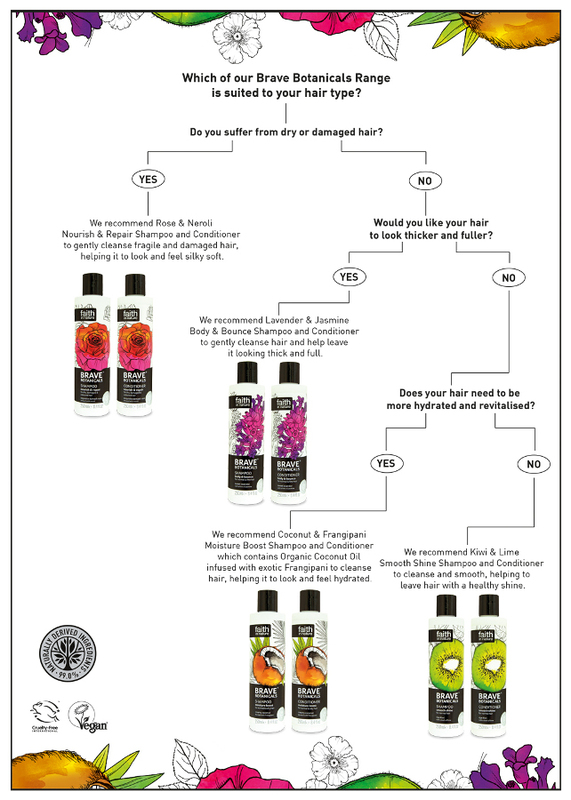 After washing with Nourish & Repair Shampoo, apply to hair and leave on for 1-5 minutes. Rinse well. For frequent use. If irritation occurs, stop use. In case of contact with eyes, rinse with clean water immediately. Keep out of reach of children. Certified cruelty free. Suitable for vegans. Aqua (Water), Cetearyl alcohol*, Shea butter ethyl esters*, Distearoylethyl dimonium chloride*, Cocos nucifera (coconut) oil**, Rosa centifolia flower extract*, Argania spinosa kernel oil*, Arginine*, Sodium PCA*, Avena strigosa seed extract*, Rosa damascena flower oil*, Panthenol, Citrus aurantium flower oil*, Persea gratissima (avocado) oil*, Lecithin*, Tocopherol*, Glycerin*, PCA*, Glycine*, Serine*, Threonine*, Valine*, Proline*, Helianthus annuus (sunflower) seed oil*, Caprylic/capric triglyceride*, Alanine*, Phenylalanine*, Isoleucine*, Histidine*, Parfum (Fragrance)*, Glyceryl stearate*, Cetrimonium chloride*, Sodium benzoate, Potassium sorbate, Aspartic acid*, Sodium lactate*, Citric acid*, Citronellolº, Geraniolº, Limoneneº. , , * Botanical derived. ** Organic certified. 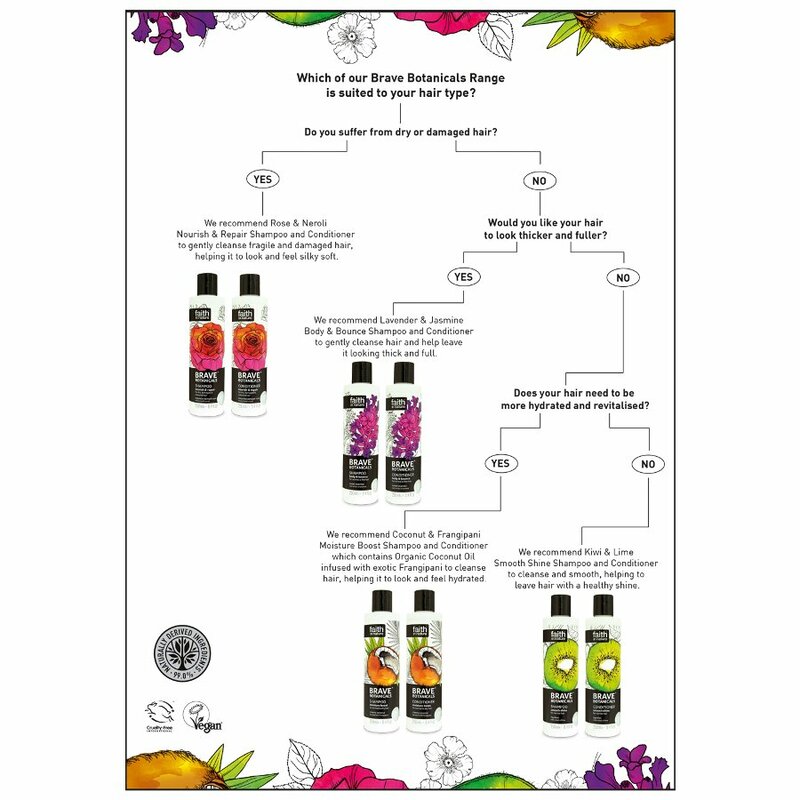 º from essential oils. 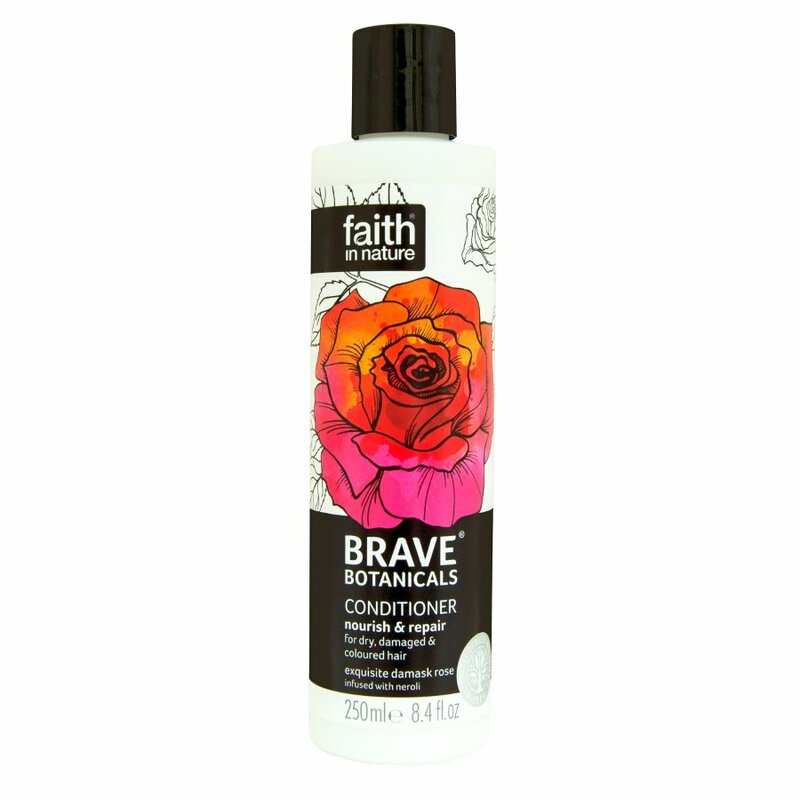 There are currently no questions to display about Faith In Nature Brave Botanicals Nourish & Repair Conditioner - 250ml.